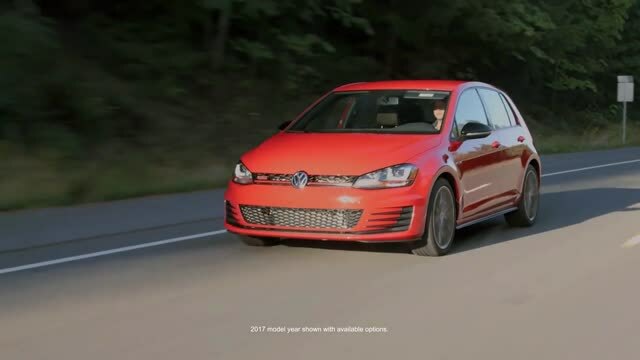 http://www.SunnyvaleVW.com When trying to decide on what car to buy, you should consider all the standard features the 2019 Volkswagen Golf GTI has to offer. 8-Speaker Touchscreen Sound System with Proximity Sensor, Air Conditioning, 6-Speed Manual Transmission and Integrated Rear Spoiler. Wondering about safety? Put your mind at ease when you get into a Volkswagen Golf GTI, with features like Electronic Stability Control, Rearview Camera System, 3-Point Safety Belts For All Seating Positions and Brake Override System. Unlock the unlimited potential of your new Golf GTI with these customized features: Side Window Deflectors, Rear Seat Cover and Rear Hatch and Side Window Sun Blinds. For a wide selection of new Volkswagen vehicles in Sunnyvale, CA or near San Mateo, CA come to Sunnyvale Volkswagen. Call 408-739-7321 or visit http://www.SunnyvaleVW.com for deals on new Volkswagen models. We are located at 1025 East El Camino Real Sunnyvale, CA 94087, serving Redwood City, CA and San Jose, CA!